Have you ever forgotten to buy her flowers? If so, I hope you promised to never, ever disappoint her again. 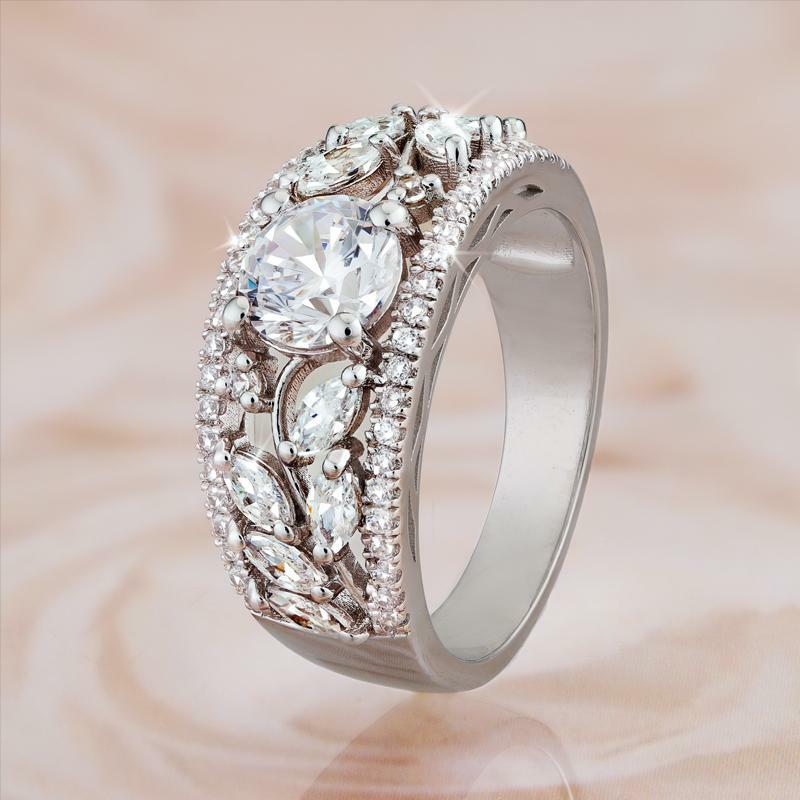 We’re here to help, and we have something that will not only help you keep your promise of flowers, it also goes one better by giving her the luxury look of diamonds at the same time. Best of all this is a flower display that will look as good next year as it does today. The Flowers Forever Ring, features an elegant floral motif of lab-created DiamondAura® marquis- and round-cut stones set in .925 sterling silver. The precision technique used to create DiamondAura result in stones that have better fire and clarity than mined diamonds and leave a much smaller carbon footprint. And while these stones don’t need watering, they do respond brilliantly to sunlight, offering dazzling displays of color when light plays across the surface. 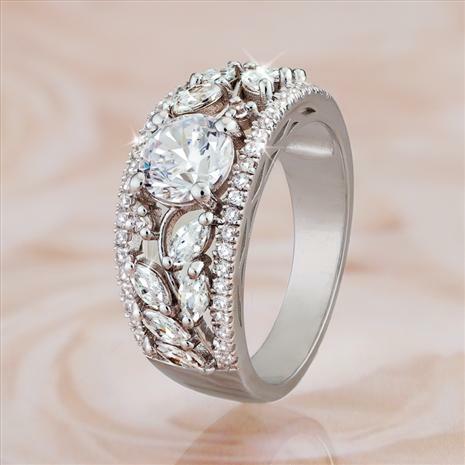 The Flowers Forever Ring gives her flowers every day, and is an exquisite reminder that your love for her is forever.